Unsafe gas appliances could be putting your life in danger. In order to stay fully gas safe in your property, you’ll need to be mindful of these potentially dangerous consequences of having poorly maintained or faulty gas appliances. Gas leaks can occur from faulty appliances and pipework. Whilst gas is not poisonous like carbon monoxide (CO), leaks can lead to fires or explosions. A distinctive odorant is added to the gas to make it detectable – you can usually smell this briefly any time you turn a gas hob on. If you think you can smell gas, take action and call 0800 111 999 immediately. If you have any signs of damage or corrosion (rust, green discolouration) on your gas pipework or you suspect a gas leak, make sure you contact a Gas Safe registered engineer to check it out – it could cause a leak if left unchecked. Any such check should involve a tightness test to ensure there are no gas leaks and a visual inspection of the installation to check that it is in good condition. By its very nature gas is highly combustible. Safe appliances burn gas in a controlled manner to help us heat our homes and cook our food. Should gas leak from a faulty appliance or pipework, it can spread quickly and there is a risk of it accidentally igniting causing a fire or explosion, with potentially devastating results. Carbon monoxide poisoning is another potentially deadly consequence of having poorly maintained or unsafe gas appliances in your home. If you think you smell gas or suspect carbon monoxide poisoning take action and call 0800 111 999 immediately. Remember – one of the best ways to stay safe is to ensure that your gas appliances are serviced regularly and checked once a year. 0% finance is also available on Worcester Bosch installations. * Please see our finance page for more information. Contact us to arrange a free no obligation quotation. Mistakes are expensive and could cost you your life. According to Gas Safe a shocking 1 in 3 people would consider doing gas work themselves to save money! If appliances are badly fitted they could cause explosions, fires, gas leaks and carbon monoxide poisoning. It is important to use a Gas Safe Registered engineer at all times when it involves gas! Potential breakdowns can often be spotted during an annual gas safety check and could prevent your boiler from breaking down. Doing this annually will also ensure your family's safety. 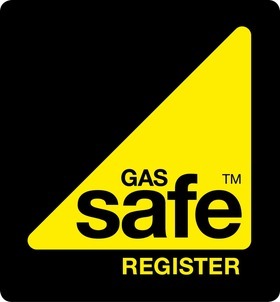 The Gas Safe Register is there to protect the public from unsafe gas work. It makes sure the engineer is qualified, check the engineers ID card on arrival. The back of the card should list the engineers areas of competence such as Gas Boiler, Gas Fire etc. If you are unsure of anything request a visit from an engineer to show you how to top up pressure bleed radiators etc. Headaches, nausea, sickness, dizziness, tiredness, confusion, stomach pain breathlessness and difficulty breathing are all signs of carbon monoxide poisoning. Call us on 01604 670549 , as a local company we are often able to respond quicker in emergency situations. Check the front and back of their card, if they do not show you their card when they turn up do not be afraid to ask to see it. The qualifications are up to date. You can also check with the Gas Safe Register by calling 0800 408 55 00, or you can check on-line or by texting Gas and then the engineer license number to 85080 - your provider may charge a standard network charge to use this service. By working together we can raise further awareness of gas safety, to help reduce the number of dangerous appliances that could be lurking in people's homes. Regular checks on your boiler can have a significant impact on the performance of the boiler. With warranties on many of the boilers, the importance of an annual service is now greatly increased. Not only does it give added assurance of safety and reliability but it also helps to reduce costs, as periodic part replacement takes place rather than the cost of break-downs. In addition to this it can also lower the homeowners energy bills. **Offer vaild until May 2019, offer available to new customers only on one appliance only. Please mention the offer when booking your service.